The Cat Empire have been filtering new songs to us one per month since the start of last July, so there were no great surprises coming into their seventh album, ‘Stolen Diamonds’. Rounding out the music trilogy with the 2013 ‘Steal The Light’ and 2016 ‘Rising With The Sun’, ‘Stolen Diamonds’ continues on their international journey of sound, feasting on Mediterranean, Hispanic and Latino rhythms and builds. Their juicy street party fusions are immediate with opening track, ‘Kila’ and title track, ‘Stolen Diamonds’, along with ‘Ready Now’, ‘Anybody’, ‘Adelphia’, ‘Saturday Night’, and ‘Bow Down to Love’. ‘Oscar Wilde’ most definitely does not reflect the melancholy of the eccentric playwright and poets’ character with its warm, upbeat rumba resonance, but is definitely a standout track from the bakers dozen. Eloise Mignon appears on guest vocals for the bands first song in a foreign language. Paying respect to their French fans, ‘La Sirene’ has a romanticised quirkiness that makes it distinctively charming. It’s backed up with ‘Echoes’, a track that feels displaced amongst the fruitful collection due to its soft pop essence. 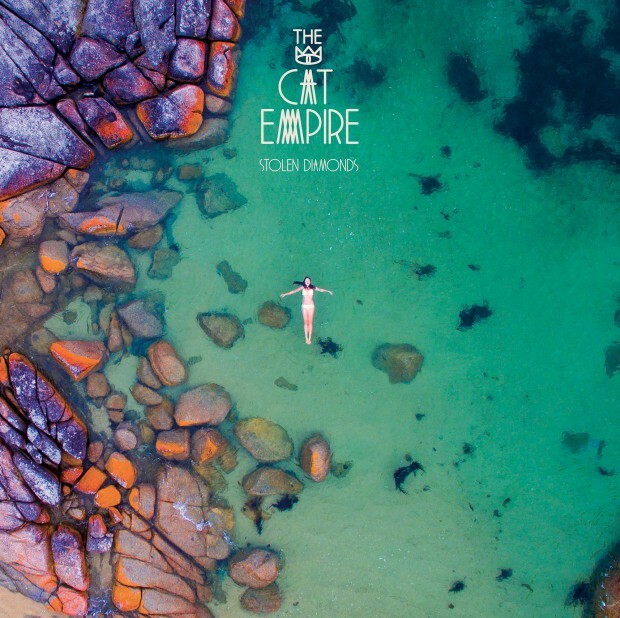 In fact, the majority of the album feels detached in that it represents too many elements of who The Cat Empire are, were and will be however long-standing fans will appreciate the blend of themes and sounds.